It’s a good time for IDW and Hasbro. The Micronauts comic has just launched, Rom is on the way, there’s now a third revival happening between the two companies. Yes, the heroes-wearing-superpowered-masks-who-also-drive-transforming-vehicles series M.A.S.K. is driving into comic books as well. Announced in USA Today this morning, the new series from Brandon Easton and Tony Vargas will add a “Fast and Furious” edge to the conflict between Matt Trakker’s Mobile Armored Strike Kommand and Miles Mayhem’s V.E.N.O.M. (or Vicious Evil Network of Mayhem), and the awesome transforming vehicles they ride into battle in. 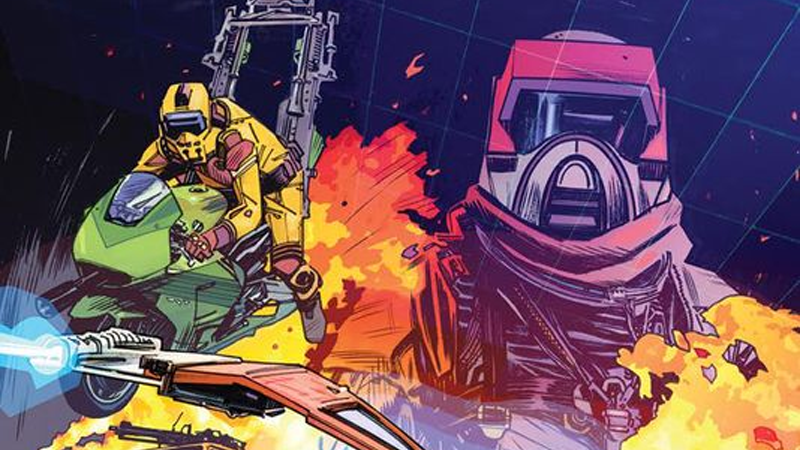 It’s not M.A.S.K.’s first rodeo in the comics world; ever since Kenny created the toy/cartoon property in the mid-’80s, there have been accompanying comics, just like G.I. Joe or Transformers. There aren’t many more details about the series, other than it will be a modernized take on the classic material that keeps the color and aesthetical elements of the rainbow-colored action figures, But it’s not totally surprising to see another Hasbro property come to life at IDW. Given all the names mentioned so far, and now M.A.S.K., it’s likely just to get these characters out there once more just so people are familiar with the premise of these franchises ahead of Hasbro’s shared-universe movie plans. At least we’re getting some cool sounding comics out of it. M.A.S.K. is due to release later this year.